Have I ever mentioned that I am a huge fan of mushrooms? I’m sure I must have made a reference about it somewhere but if some of you missed it, let me just scream it out loud. I LOVE MUSHROOMS! Remember the Easy Garlic Bread Recipe that I posted previously? 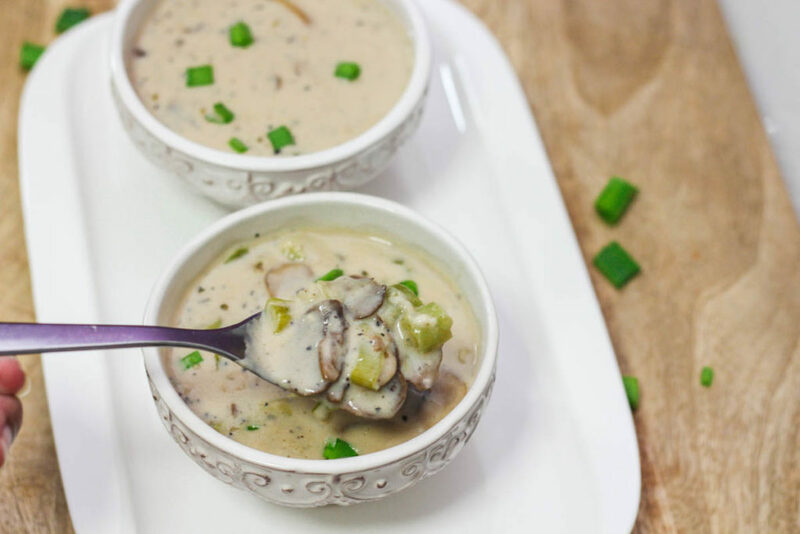 Dipping chunks of the crunchy garlic bread in this Creamy Mushroom and Leek Soup is the perfect thing to do. It is enchanting and magical. I can see rainbows swirling all around with every spoonful. Okay, that is the unicorn in me talking. Creamy Mushroom Soup would always remain a classic, but adding some leek to it elevates the earthy flavors of the soup and makes it taste really fresh. The thing about this soup is, it is made up of easy pantry ingredients. Best of all, it is easily adaptable. If you are watching your calories, skip the cream. If you prefer a vegan version, use almond milk and some almond meal. 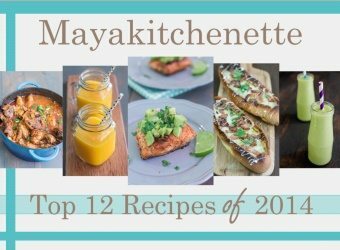 Homemade is still the best as you can control the ingredients used, compared to the canned ones which are full of salt and preservatives. I like using fresh herbs for the soup but if you ain’t got any, feel free to use dried herbs. It still works beautifully. Personally, I like my soup chunky, so I only blended half of the soup so that I can still enjoy the texture of the mushroom and leek. 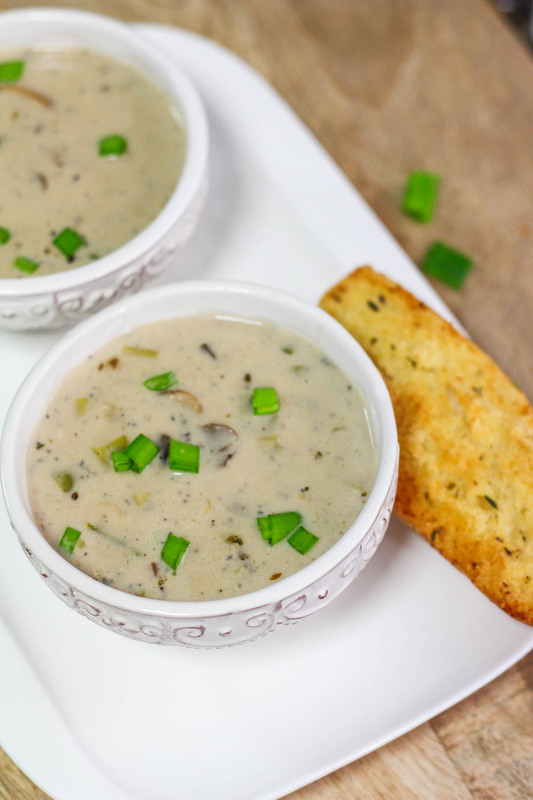 This soup is still delicious the next day, so it is a good make ahead recipe. 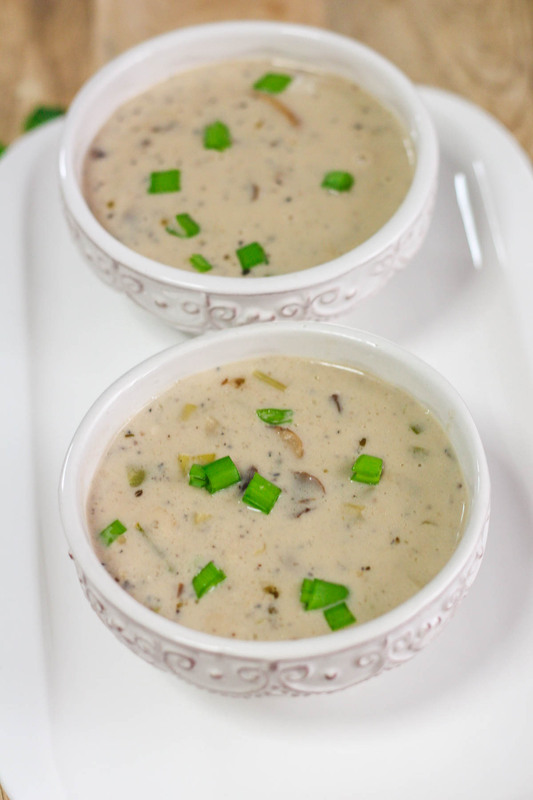 Do give this Creamy Mushroom and Leek Soup a try lovelies. You will slurp up every last bite. Heat butter and oil in a saucepan over medium heat. Add mushroom and bay leaf. Mix in flour and cook for another 2-3 minutes. Once mushroom softens, add chicken broth and season with salt if required. After soup reaches a strong boil, remove bay leaf and blend half of the soup till smooth. You can skip this step if you prefer your soup to be all chunky. Return soup to saucepan over medium-low heat. Stir in milk, cream, black pepper and herbs. Cook for a further 4-5 minutes, till the soup reaches a soft simmer but not boiling. 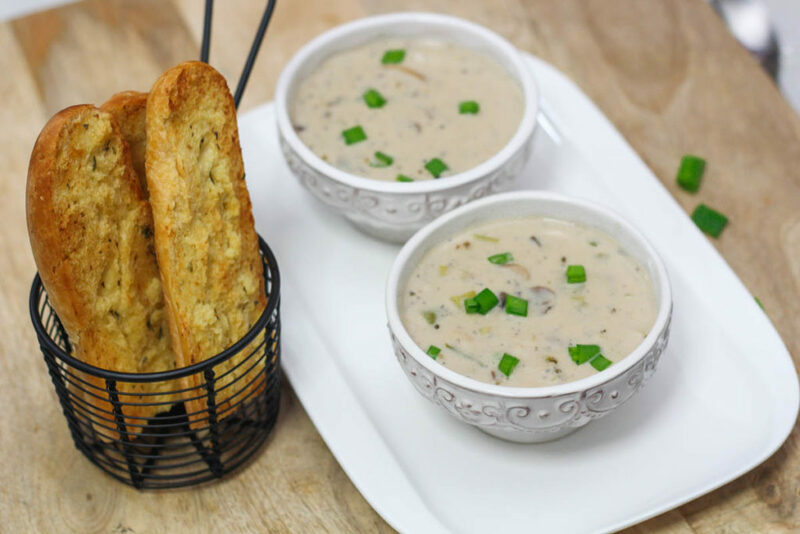 Ladle into serving bowls, garnish and serve with garlic bread.